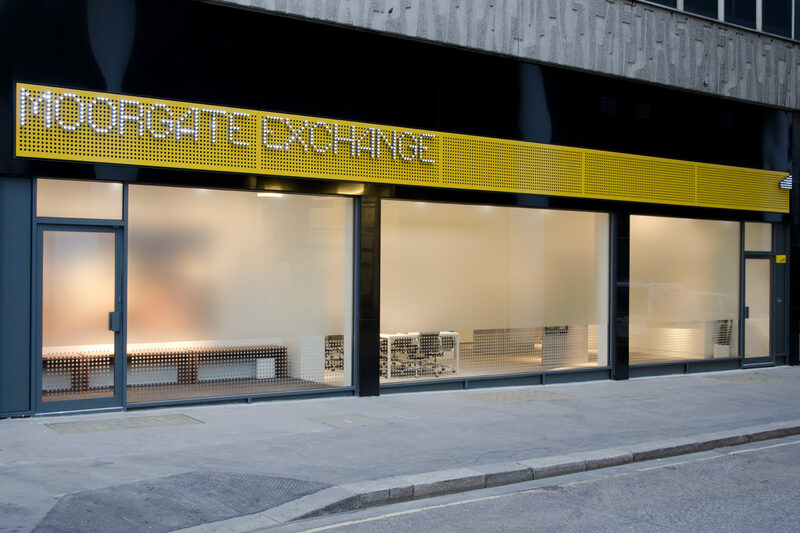 On the site of the City of London’s old telephone exchange, we tapped into this new office building’s past to bring it into the future. 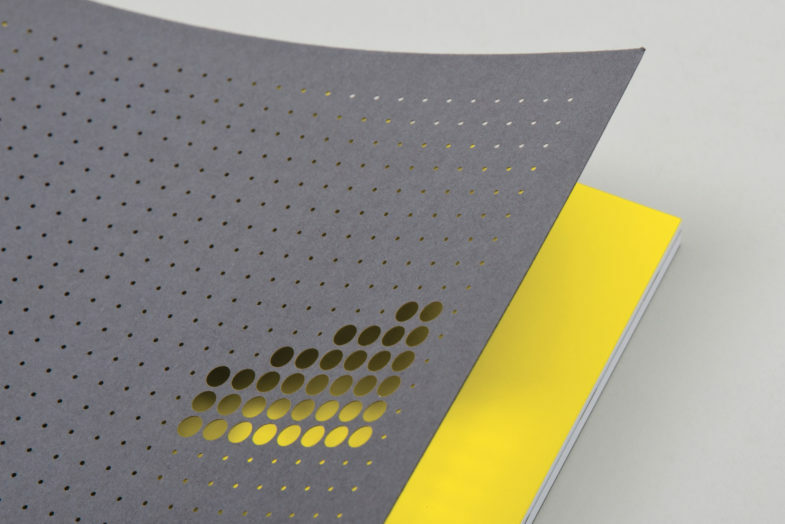 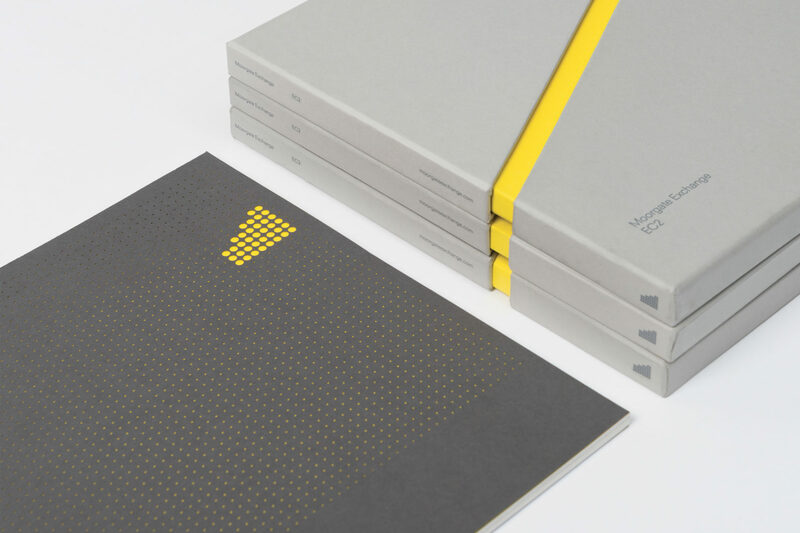 The result was an award-winning visual identity. 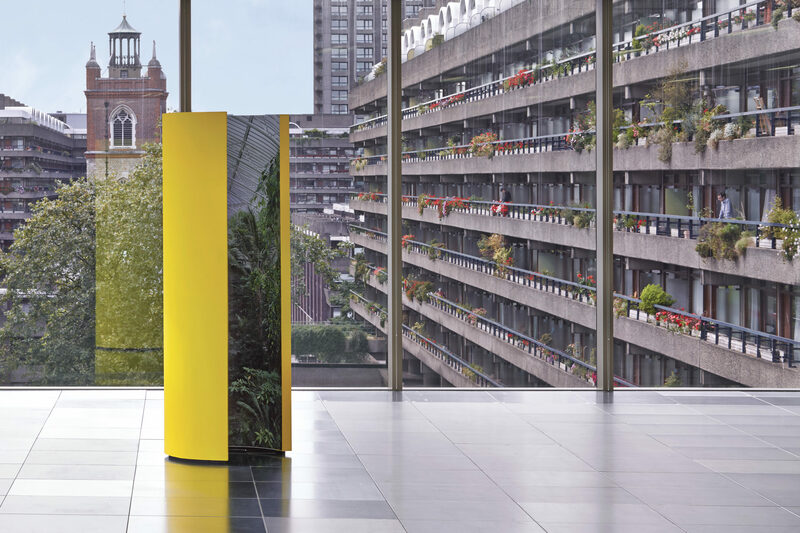 A powerful graphic language stands out against the corporate landscape of the City. 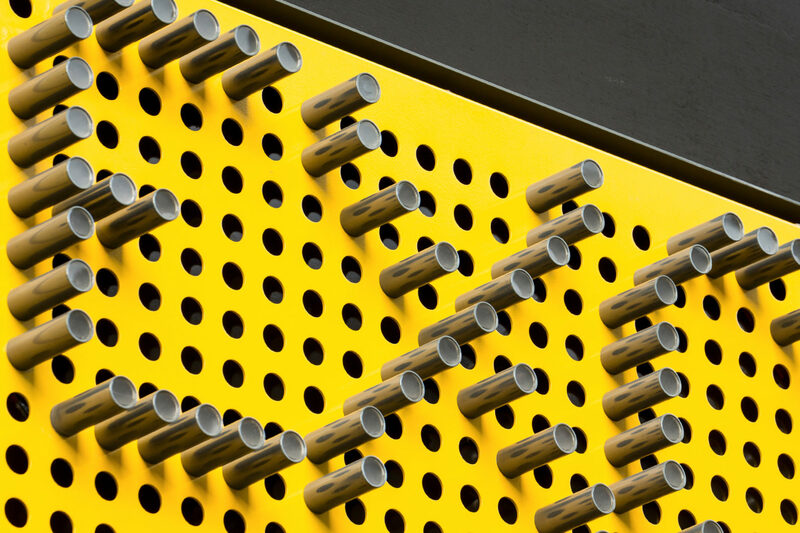 Dynamic and distinctive, it references the ‘jacks’ of historic telephone switch­boards and the building’s unusual shape. 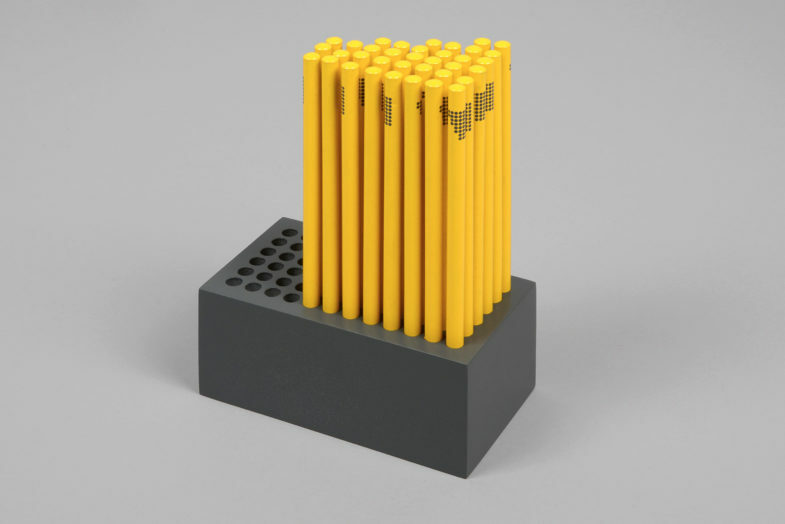 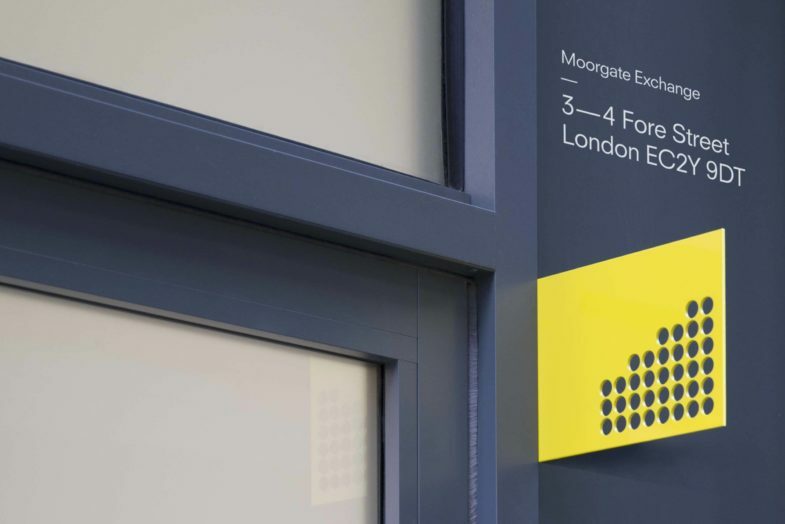 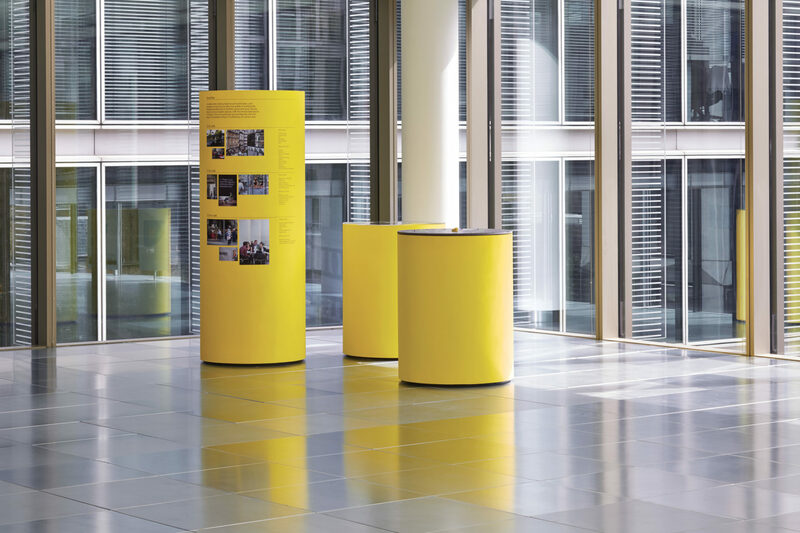 The project won two wooden pencils at the prestigious D&AD awards for wayfinding and environmental design. 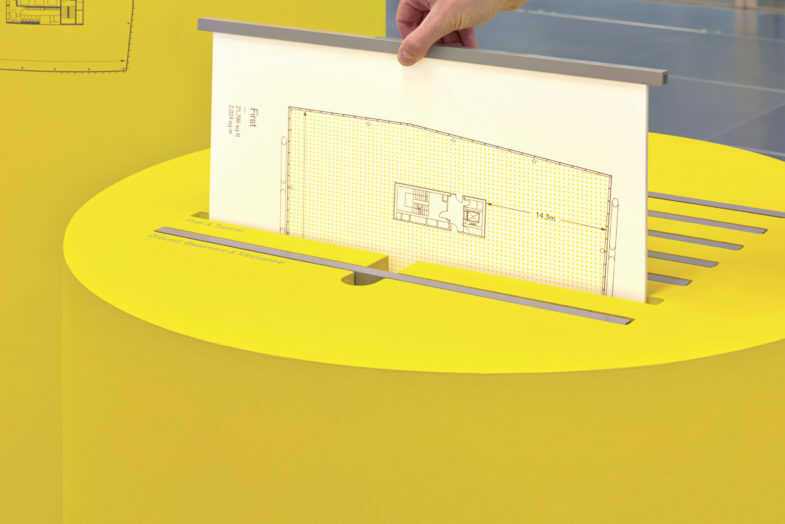 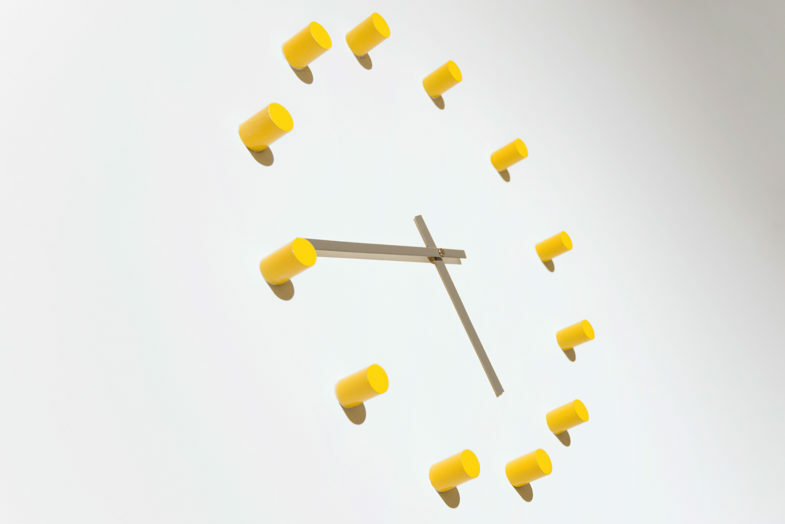 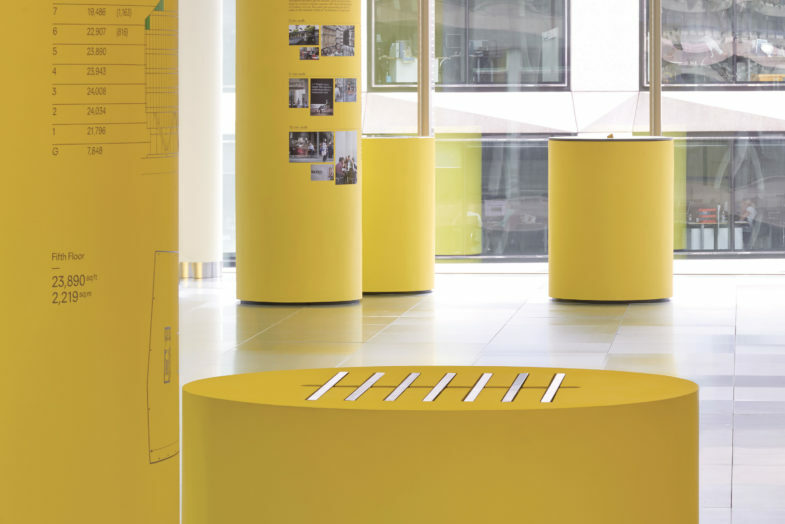 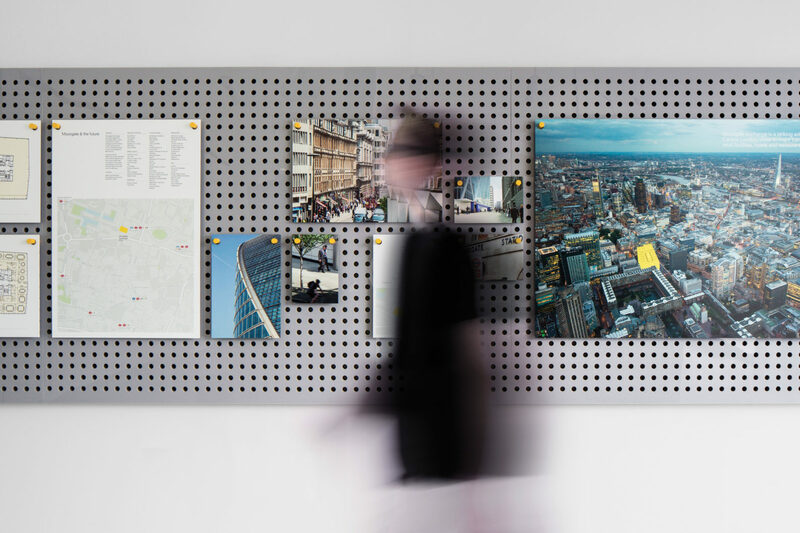 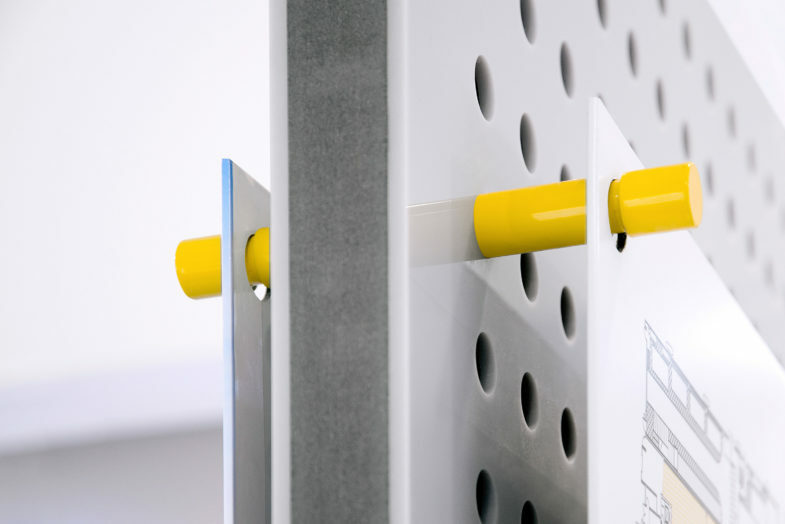 The graphic language of the switchboard evolved from bespoke pegboard to large-scale cylindrical yellow plinths for an on-floor exhibition. 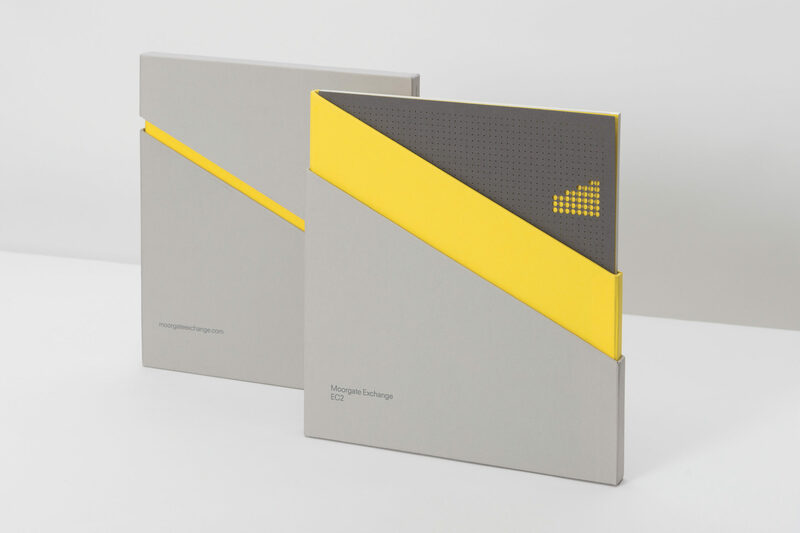 The unique slope of the building’s roofline is also playfully reflected in printed collateral. 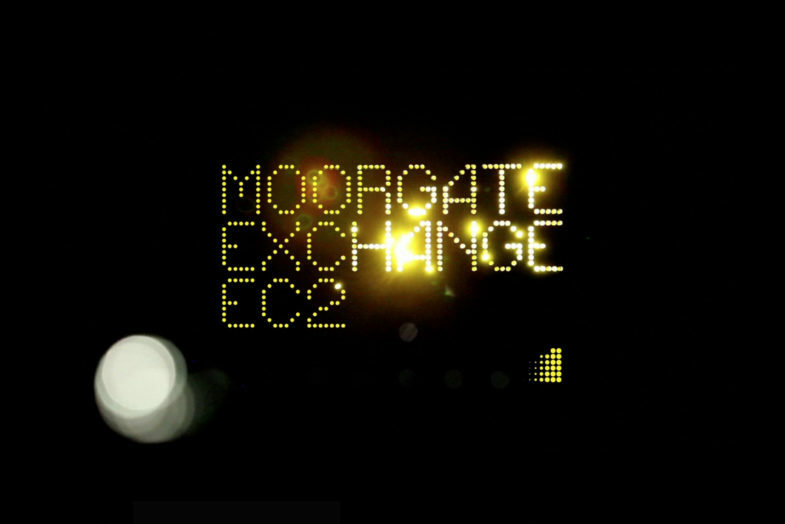 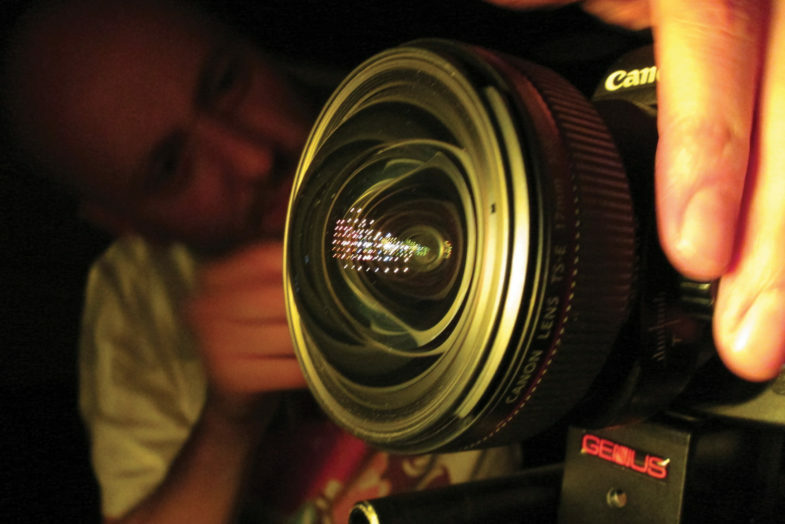 Shot entirely in camera in collaboration with DBLG, the brand film uses fibre optics to create a buzz of light and motion.